Strengthens the immune system by helping white blood cells fight antibodies. Noni Plus contains a unique blend of multiple herbs which are enriched with antioxidant, anti inflammatory, immune system enhancing, astringent properties which helps in fighting against various disorders& general health problems. It can help to flush out toxins and pollutants from the body and help in overall health and well being. Production Capacity: 500, 000 caps per weekIts available in many countries with our and other's brand name. In case you need it on private labeling, please let us know. This capsule contains pure Noni fruit extract, OcimumTenuiflorum, GarciniaIndica, and CentellaAsiatica with other very rare Hawaiian fruits extracts. This product is produced under GMP guidelines. This is HALAL & Kosher Certified product. Noni is 100 % natural, organic & free from any sort of side effects. Banking on the skills of our qualified team of professionals, we are involved in providing Noni Capsule. 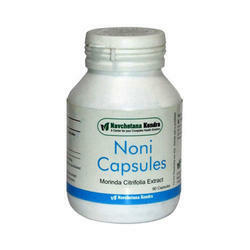 Noni Capsules are Vegetable and Gelatine capsules filled with noni freeze dried powder. Each Capsule consists of 500mg of noni freeze dried powder. 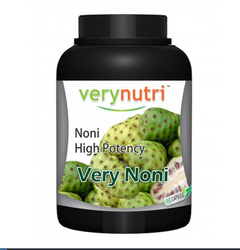 Noni capsules helps in developing an alkaloid in human body called Xeronine. This capsule contains pure Noni fruit extract, Ocimum Tenuiflorum, Garcinia Indica, and Centella Asiatica with other very rare Hawaiian fruits extracts. This product is produced under GMP guidelines. This is HALAL & Kosher Certified product. Noni is 100 % natural, organic & free from any sort of side effects.